After a bit of a hiatus, Dispatch return with the fourth instalment of their Dispatch Dubplate series and this time it’s Cern on the buttons. As per previous releases in the series there are some new VIPs and one vinyl exclusive track, with Hollow Moon and Tiamat both getting the VIP treatment and new Mayhem collaboration Hydraulic on the wax for the vinyl buyers. 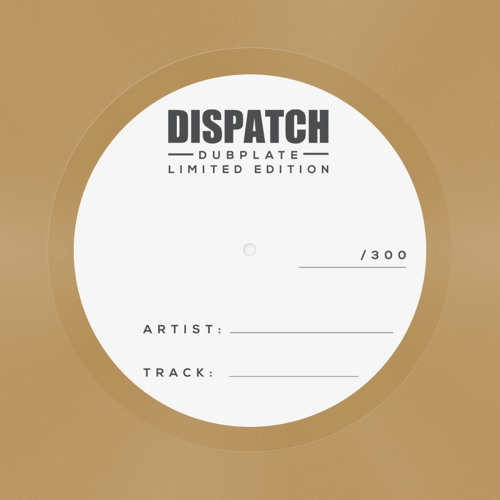 As you’d expect from Dispatch and Cern the EP features three tracks of rugged techstep, with a nice balance between bassline scuzz and atmosphere. If you haven’t yet snapped up a copy you should move fast – pre-orders are already flying out of the door via the Dispatch Store and Redeye. Noisia’s Vision Recordings imprint is among the pack of esteemed D&B labels celebrating its 10th anniversary, and to mark the occasion they’ve remastered a host of top tracks from the Vision back catalogue which they’ll be releasing on CD, USB stick and digital download alongside two new tracks exclusive to the compilation (both of which you can preview below). For the merchandise-hungry there are also bundles available featuring a 10 years of Vision t-shirt and a rather tasty (if somewhat expensive) 12″ artwork book featuring full size, full colour artwork from every single release on the label. Head over to the Noisia store to pick up one of the bundles now, or cop it from your favourite digital outlet. Mayhem & Logam give us a taster of forthcoming D&B releases with Orion, a tidy mix of crisp drums, stark synth stabs and crunchy bass. This one is more about groove than a huge drop, but the attention to detail in the breaks and synth work is impressive. Check it out and grab yourself a free download below.